SINGAPORE, 3 September 2015 – Changi Airport Group (CAG) welcomes AirBridgeCargo Airlines (ABC) to Singapore Changi Airport, with its inaugural flight from Moscow, Russia, scheduled to arrive tonight. 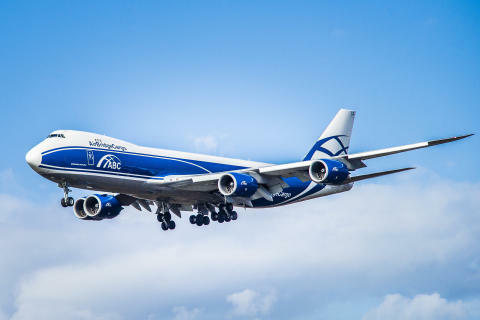 The international freighter carrier, which is part of Russia-based Volga-Dnepr Group, is launching twice-weekly Moscow-Singapore-Hong Kong-Moscow services with a Boeing 747-8F aircraft. ABC’s new services to Singapore establish Moscow as a new freighter city link for Changi Airport, and strengthen Changi Airport’s connectivity to Russia and beyond. The new dedicated cargo services to Singapore will facilitate the movement of cross-border shipments and enhance the country’s product offerings for its customers in Asia. With the addition of Singapore, which is ABC’s ninth online station in Asia, the airline will now provide over 500 weekly delivery solutions from the region, all with a delivery time of below 48 hours including handling procedures. The airline already has a diverse business portfolio in the region, connecting clients in China, Japan, South Korea and Vietnam with its cargo gateways in Europe, the USA and Russia. 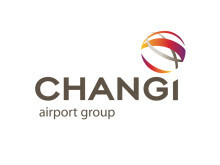 Changi Airport is one of the world’s busiest cargo hubs. In the first half of 2015, cargo throughput at Changi Airport reached 912,300 tonnes. During this period, 1,034 tonnes of cargo was handled between Singapore and Russia. Between 2010 and 2014, air cargo volumes between Singapore and Russia grew by an average growth rate of 16% annually. Changi Airport is the world's sixth busiest airport for international traffic. It served a record 54.1 million passengers from around the globe in 2014. More than 350 retail stores and 160 F&B outlets are situated across three terminals to cater to passengers and visitors. With over 100 airlines providing connectivity to 320 cities worldwide, Changi Airport handles about 6,600 flights every week, or about one every 90 seconds. By focusing on the needs of its customers, AirBridgeCargo Airlines has grown to one of the world's leading cargo carriers and important part of Volga-Dnepr Group. The airline provides its customers reliable air freight services on routes linking Asia, Europe and North America. The improved connectivity at the airline's hub in Sheremetyevo, Moscow enables ABC customers to get a greater access to point-to-point deliveries within the airline's global route network. To support customers, the airline has established its own sales offices to in all its 9 online stations in 5 Asian countries and GSA agents in the off-line stations. The commercial organizational structure in Asia with centralized management functions in joint Volga Dnepr Groups' offices enables to deliver a full range of logistics solutions using the Volga Dnepr's 'cargo supermarket' concept. ABC fleet includes 14 Boeing 747 aircraft, including six of the new generation 747-8F. These are complemented with Boeing 737 for regional markets and express deliveries. ABC is a multiple winner of industry accolades including the Best All-Cargo Airline 2014 (AFSC) and the Best All-Cargo Airline 2015 (Air Cargo News Cargo Airline of the Year Awards).